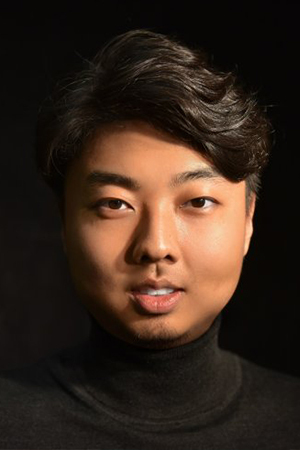 A 2019 Grand Prize Winner in the Orpheus Compeittion, Korean Tenor, WooYoung Yoon’s previous opera credits include Ferrando in Cosi fan tutte, and Tito in La Clemenza di Tito, as well as Rodolfo in Luisa Miller and Belmonte in Die Entführung aus dem Serail at the Manhattan School of Music. In 2017, Mr. Yoon covered Don Jose in Carmen for the Martina Arroyo Foundation Prelude to Performance, after previously performing the role in 2016, when he made his Italian debut as Don Jose in Carmen with the Trentino Music Festival. Last summer, he debuted as Tonio (Daughter of the Regiment) in the Merola Grand Finale on the stage of San Francisco Opera. In the spring of 2019 he returns to San Francisco Opera, for a recital in the Schwabacher Recital Series, and then joins the New Jersey State Opera as Rodolfo in La Boheme. Next he makes his role debut as Faust in Berlioz Le Damnation de Faust under the baton of Maestro John Nelson with the Costa Rica National Symphony. Mr. Yoon has distinguished himself in a variety of major competitions. He has most recently, been named a Met National Council Eastern Regional Finalist, a semi finalist in the Zachary Competition, and won the Grand Prize in the . In 2018, the tenor won the Grand Prix Prize at the Talents of the World Voice Competition, as well as the Audience Favorite Award. He won third place in the Marcella Sembrich International Voice Competition, which along with a cash prize includes a role at Opera Nova in Bydgoszcz, Poland. In 2017 the tenor was a finalist in the Altamura/Caruso International Voice Competition, The Alfredo Silipigni Vocal Competition, and received Honorable Mention from the Metropolitan International Vocal Competition in 2016. Mr. Yoon holds both Professional Studies and Master of Music degrees from the Manhattan School of Music, where he studied with Neil Rosenshein. He completed his undergraduate work at KyungHee University in the Republic of Korea. …the first to score big was was Tenor, WooYoung Yoon, with eight pure and glorious high C’s in Tonio’s aria, “Ah, mes amis!” from the Daughter of the Regiment. Unlike famous performers of this knotty aria, which brought Luciano Pavarotti to the world’s attention, Yoon didn’t rush into the climaxing ninth high C. He paused, took a big breath with a sigh, bringing friendly laughter from the audience, and then hit the rafters and held the note right into the inevitable ovation.” The 2018 Merola finale was grand indeed.